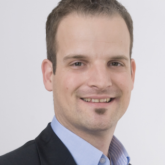 Mirko works as an independent agile coach, trainer and interim manager. He is a committed Agilist (Agile Evangelist), but also flexible to adapt to given conditions. After more than 20 years of professional experience in various positions of distributed organizations, large projects and different cultures (India, Russia, Serbia, Romania, West- EU), he is a well-known expert in the setup and management of distributed organizations. In doing so, he is keen on achieving the optimal balance between increasing business value and optimizing corporate culture. He is always looking for a holistic and sustainable approach, even beyond the current conditions. He gets inspired by other disciplines, people and methods, such as current trends AI, Gamification and Collaborative Consumption. Mirko is currently working on topics such as: DE-Scaling Agility, adaptive Partner Ecosystems and the question „what comes before the agile contract?“. 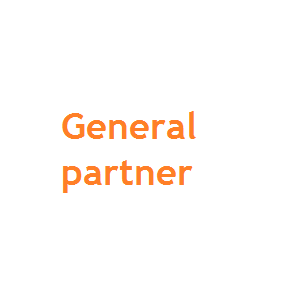 External partners are often tightly integrated in the agile organization and are an essential part of the value stream, or even part of an agile team. However, a lot are still treated as suppliers instead of partners on a similar eye height. In a faster changing, more complex world it’ll become a competitive advantage for a company to have fast access to an ecosystem of trusted partners with the same values. But where should we start?-With the lean procurement canvas and lean-agile procurement we offer a similar disruptive approach for procurement and partner management as the business model canvas and lean startup were for business development. For example, in one current success story a complex IT-Sourcing was done within 4 DAYS instead of MONTHS! It is intended for an interdisciplinary audience of CxOs, decision-makers, heads of expertise, leader of competencies, strategic purchasing managers, buyers, partner managers and project managers, team members, etc. from both customer and supplier sides. Staying competitive was never as difficult as today. You need to change how you source services & products for keeping up. WHAT YOU WILL TAKE AWAY FROM THIS WORKSHOP? UNDERSTAND HOW DIGITALIZATION HAS CHANGED PROCUREMENT FOREVER, AND WHY THERE’S NO WHAY AROUND AGILE? What today’s purchasers and providers have to improve. Together, we discuss current developments in the market and your own organization’s partner ecosystem to assess advantages and disadvantages of common procurement. How different departments make use of Agile principles to become more successful. Learn how Agile made Tesla, Google, ING-DIBA and many others more successful and learn how procurement- & sales strategies can proVt from that. How agile principles help you procure & sell the right things. Learn how the LAP Approach enables you to focus on the important services and products to procure/sell to improve time-to-market signiVcantly with similar or better quality than today. Use the lean Procurement Canvas for your own business. Together, we fill out the Lean Procurement Canvas with the help of a real-world scenario. Then, you can apply it for your own cases. Facilitation of lean-agile Procurement Events. In hands on exercises we will organize and facilitate important parts of the events in the LAP Approach. Other applications of the lean Procurement Canvas from the Practice. Learn from examples from the practice, how the lean Procurement Canvas is used in various other applications then sourcing. Basic knowledge in procurement, sales and agile are an advantage. The workshop is designed for an interdisciplinary audience of decision- makers, purchasers, sales, strategic buyers, management, innovation, business, delivery, and more. Mirko’s experience spans the globe from India to Romania, which is why he excels in coaching far-distributed organisations. His approach balances creating Business Value with new interdisciplinary technologies and practices.